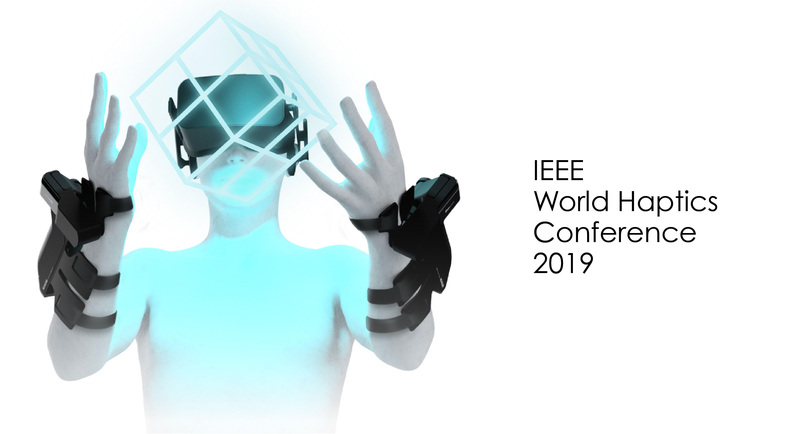 exiii announces that its wearable VR haptic device, EXOS Wrist DK2, has been selected as the theme technology for IEEE World Haptics Conference (“WHC”) 2019 Student Innovation Challenge (“SIC”). WHC is an international conference covering all aspects of haptic research. Every 2 years, WHC sets a specific research theme and hosts SIC, inviting students across the world to explore cutting edge haptic technologies. This year’s research theme is “Implementing Haptics in Virtual Reality Environment.” EXOS Wrist DK2 has been selected as the base technology of this challenge, along with HTC VIVE Pro. Candidates will be required to form a team of 2-4 students and submit a 2-page proposal via web form (TBA). The proposal will be reviewed by the review committee. Selected teams will receive development kits, an EXOS Wrist DK2 and HTC VIVE Pro, for a 4-month research and development period to work on the proposal and are invited to compete for awards at the WHC 2019. The schedule is planed as below. exiii is very excited to be able to explore the new possibility of EXOS with talented students from all over the world through the SIC. In order to make the “VR x Haptics” experience available for everyone, exiii will do its best to support this program. Detailed information regarding the WHC 2019 SIC is available via the link below.